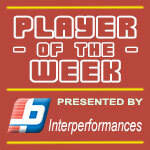 American Kyle Fogg (190-PG-90) had a great game in the last round for Guangzhou LL and that's him to receive a Interperformances Player of the Week award for round 34. The 28-year old playmaker had the game-high 60 points adding five rebounds and six assists for Guangzhou LL as his team lost the game against Fujian S. (19-15) 114-127. Guangzhou LL maintains the 8th position in Chinese CBA. They would have been even better if they hadn't lost a few games earlier this season. Guangzhou LL will need to avoid more loses keep or improve their 19-15 record. In the team's last game Fogg had a remarkable 66.7% from 2-point range and got four three-pointers out of 9 attempts. It's his second year at Guangzhou LL and it's hard to imagine this team without him. University of Arizona graduate has very impressive stats this year. Fogg is in league's top in points (8th best: 33.5ppg), assists (5th best: 7.9apg) and averages solid 2.1spg and 51.2% FGP. The second most remarkable performance in last round's games was 30-year old Serbian center Miroslav Raduljica (213-C-88) of Jiangsu D.. Raduljica impressed basketball fans with a double-double of 34 points and 22 rebounds. Bad luck as Jiangsu D. was edged by slightly lower-ranked Shanxi Z. (#14, 14-21) 114-110. The game was between two teams which are definitely not main contenders for the title. Jiangsu D. keeps 13th position. His team is not often considered as one of the league's best with a mere 15-19 record. Raduljica is well-known by Jiangsu D. fans and he already established his position as one of team's most reliable players. 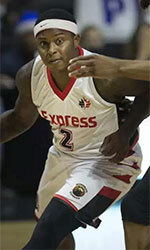 The third best performed player last round was American Bobby Brown (188-PG-84) of Shanxi Z. (#14). Brown got into 30-points club by scoring 43 points in the last round. He went also for eight rebounds and five assists. 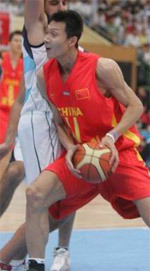 He was a key player of Shanxi Z., leading his team to a 114-110 win against slightly higher-ranked Jiangsu D. (#13, 15-19). The chances of Shanxi Z. ranking at the top of the league, however are very questionable as they have already lost 21 games, recording just fourteen victories. With bigger assistance of his teammates, Brown could help Shanxi Z. to bring them higher in the standings. Brown has a very solid season. In 19 games in China he scored 23.8ppg. He also has 5.9apg and and 3PT: 40.1%.